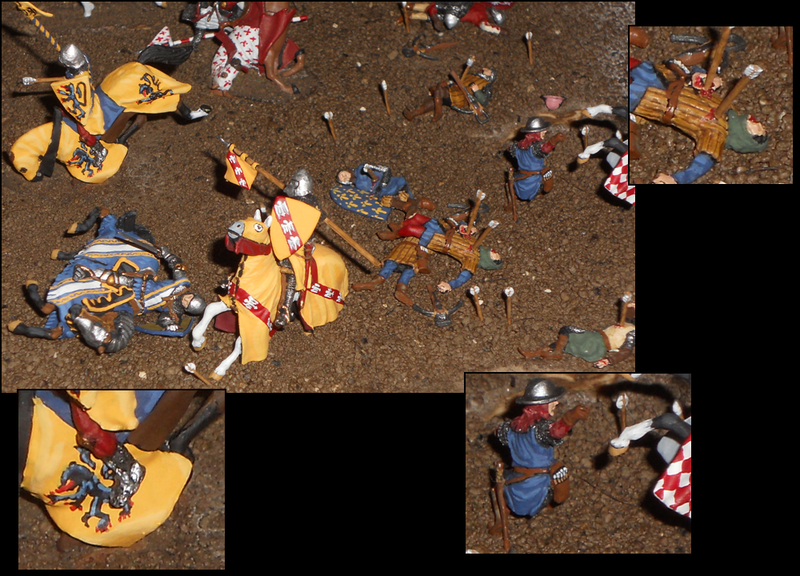 thanks, actually it is a conversion: I took the body of an ordinary knight and replaced his helmet with the one of the black prince, so I´ve got a dismounted black prince now. 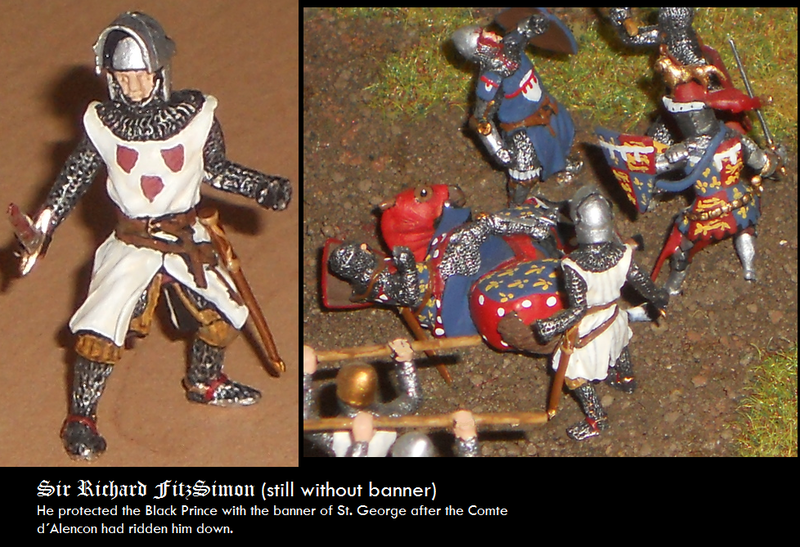 Both figs are from zvezda´s english knights of th 100 years war set. Here is a small update: It shows a bit of the middle-part of the dio. There is a lot of groundwork to do but it gives an impression of the battle. 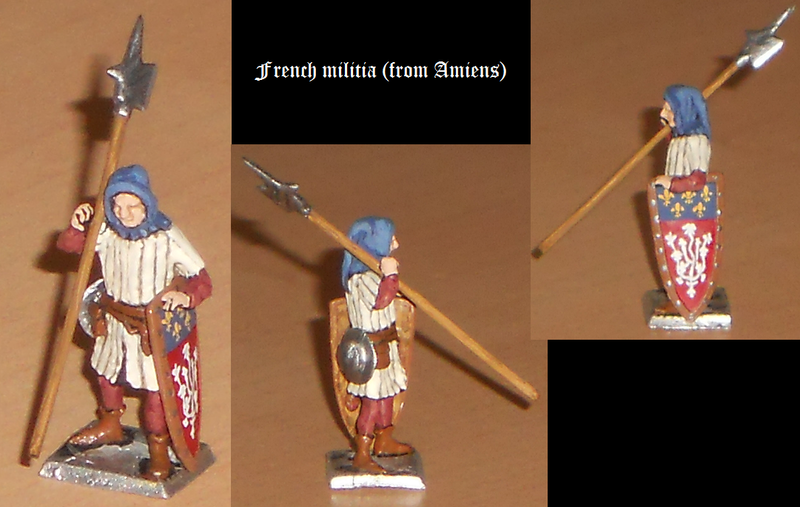 the use of VA105 Skirmish, dead and wounded as frensh crossbows is good. Is it a painted helmet up right corner?